Hello, most stuff on this website is highly out of date and exists for historical purposes only. All my programs on this website are no longer supported. Some of my programs may receive updates in the future, but most of them will never be updated. Welcome on my webpage. 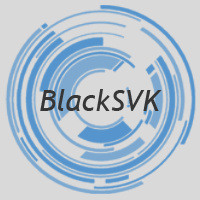 I'm known on the internet as BlackSVK or BlackDragon. This webpage is not entirely translated to English, but you can find here my freeware software for Windows and some stuff about PC, IT and everything else. I'm also developing web pages, so if you are interested you can contant me.